I had my first finish for my wipocalypse list. It is Aunt Ina by Indigo Rose. 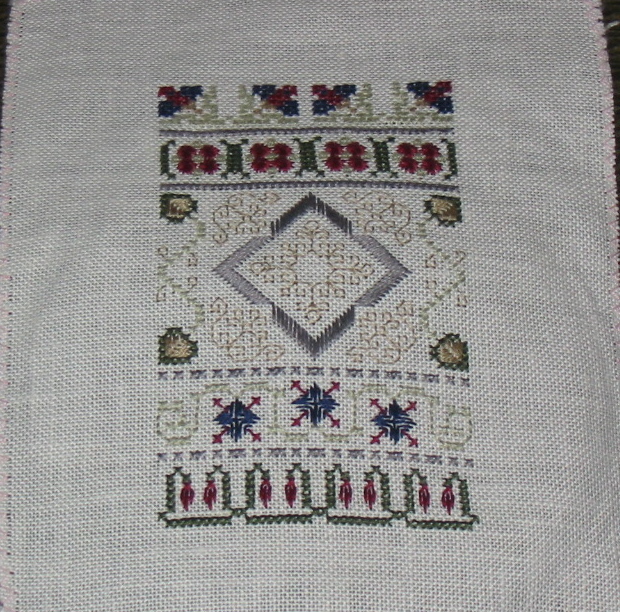 My next focus project for the WIPocalypse is my own design (a medieval/gothic style) sampler. 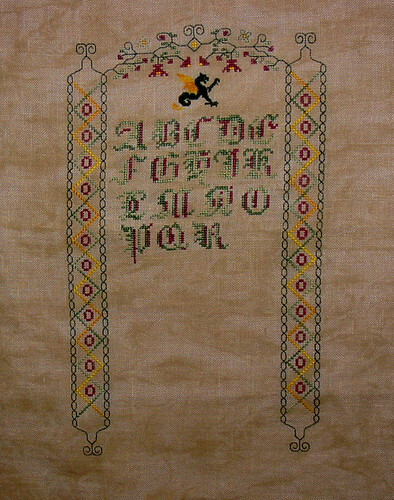 Ohh I like your colors on the Medieval Sampler.